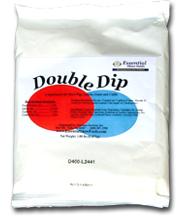 Essential Double Dip increases your animal’s appetite and will help increase their average daily gain. It is fed by mixing one (1) packet per ½ gallon of water. Provide 20 ounces per feeding (packet contains 2 day supply at 2 feeding/day).